From the phenomenal rise of startups to the groundbreaking Startup and Standup India initiative launched by the Indian government in January 2016, the Indian startups are truly having a Renaissance moment. World Economic Forum has acknowledge India for having the “fastest growing base of startups worldwide”. 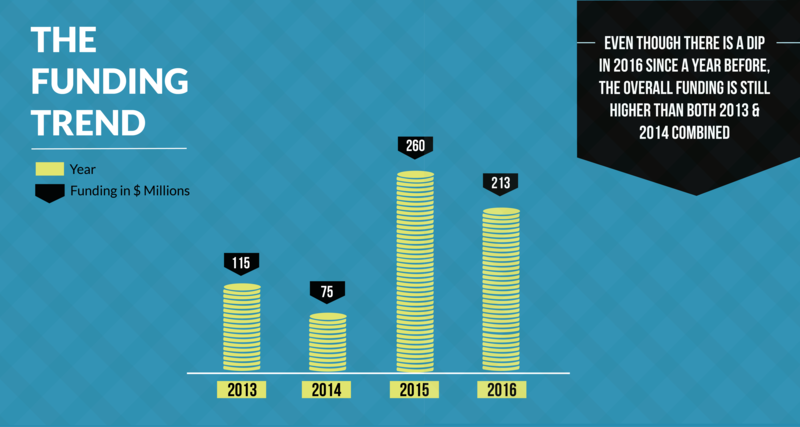 While 2016 kick-started on a muted note and investments trickled down as compared to last year, 2016 had not been as eventful for the startup ecosystem. 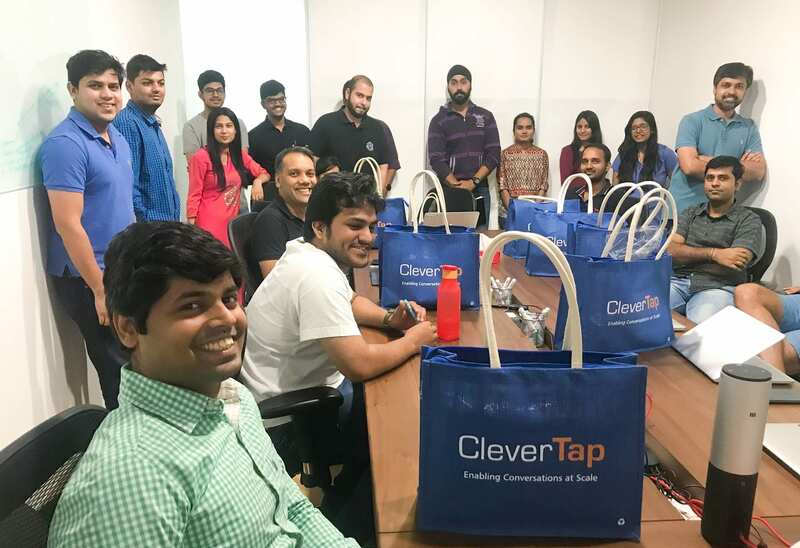 The market sentiment is that Indian startups have definitely moved past a) massive valuations b) waning interest in foodtech and e-commerce c) fintech, AI and healthcare are the sunrise sectors. In an independent study conducted by Analytics India Magazine, we list down the key findings on investments and funding trend and how the startups fared vis-à-vis 2015. 2016 saw $210M invested across 20+ deals, according to research done by Analytics India Magazine. This is 18% less than the investment in 2015 of around $260M. When it comes to big-ticket funding rounds, 2016 missed the mark completely in snapping up big deal sizes (we consider a funding of more than $25M as big ticket). There were just 2 big ticket funding rounds in 2016 – $100M investment in Fractal Analytics by Khazanah and $30M, series C round for Qubole. 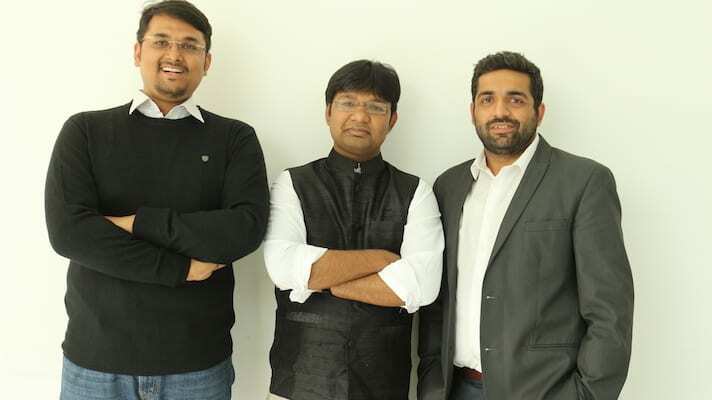 In 2015, the big-ticket investments included Series D funding of Manthan, Series A of Pune based Saama Technologies, Series A funding of Antuit by Goldman Sachs and Series B of NCR based Axtria. A reduced number in big ticket funding is the major reason for the 18% decrease in total funding in analytics ecosystem in India, even though the number of seed funding deals increased drastically this year. Though 2016 saw a dip in receiving fund infusions, the numbers are still higher than 2013 & 2014 combined. Another key finding that the size of the deals had whittled down, with VCs treading the startup landscape more cautiously. 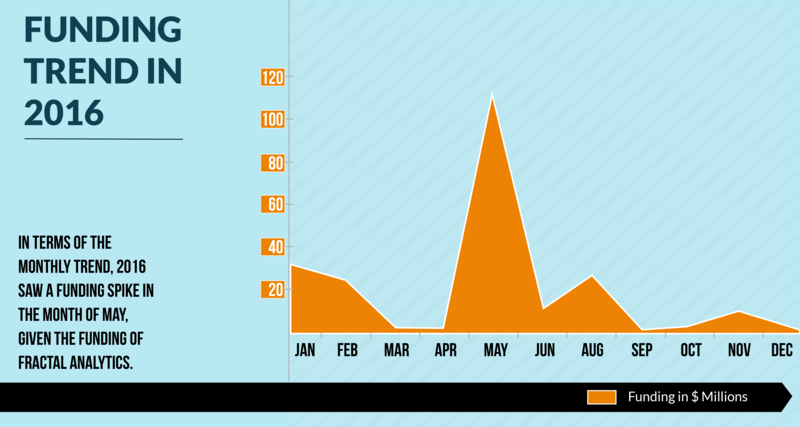 In terms of the monthly trend, 2016 saw a funding spike in the month of May, given the funding of Fractal Analytics. 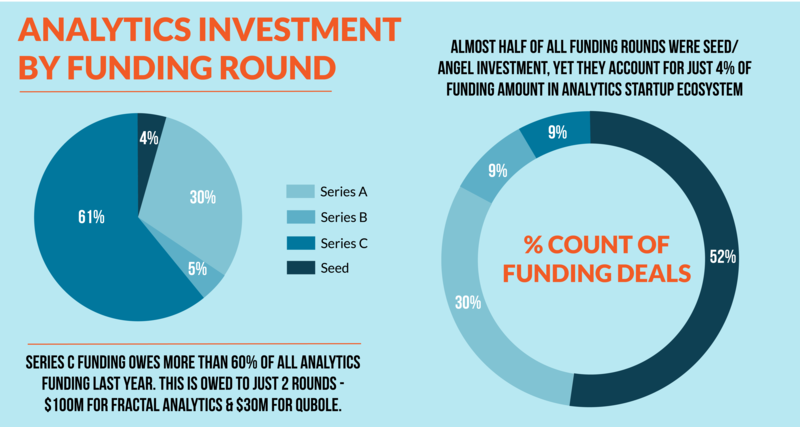 Series C funding owes more than 60% of all analytics funding last year. This is owed to just 2 rounds – $100M for Fractal Analytics & $30M for Qubole. As shown in the above figure, almost half of all funding rounds were Seed/ Angel investment, yet they account for just 4% of funding amount in analytics startup ecosystem. Now contrast this from last year. 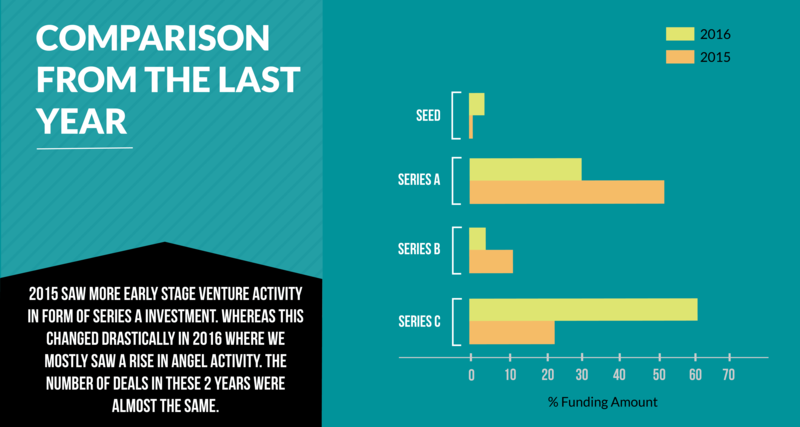 2015 saw more early stage venture activity in form of Series A investment. 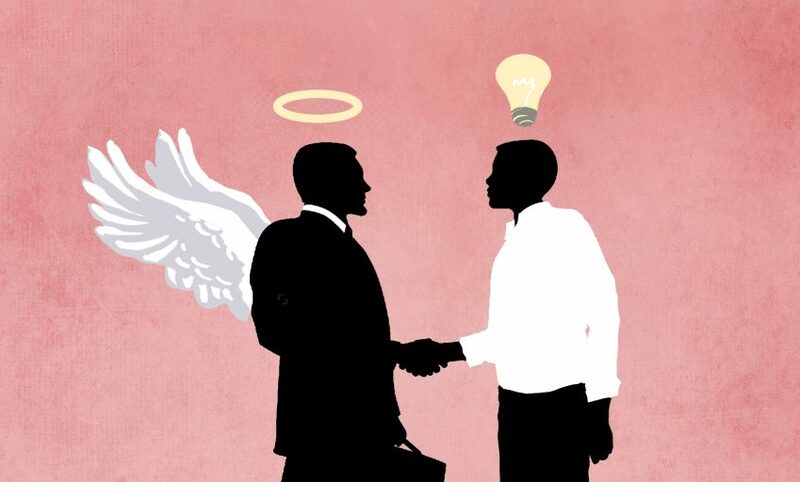 Whereas this changed drastically in 2016 where we mostly saw a rise in angel activity. Though the number of deals in these 2 years were almost the same. 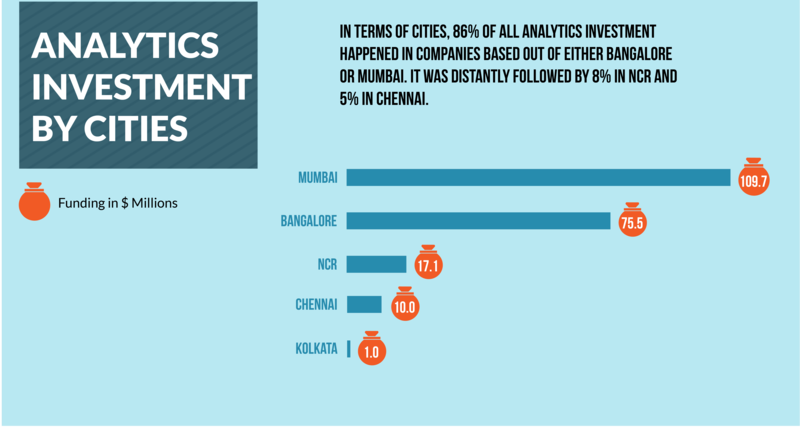 In terms of cities, 86% of all analytics investment happened in companies based out of either Bangalore or Mumbai. It was distantly followed by 8% in NCR and 5% in Chennai. 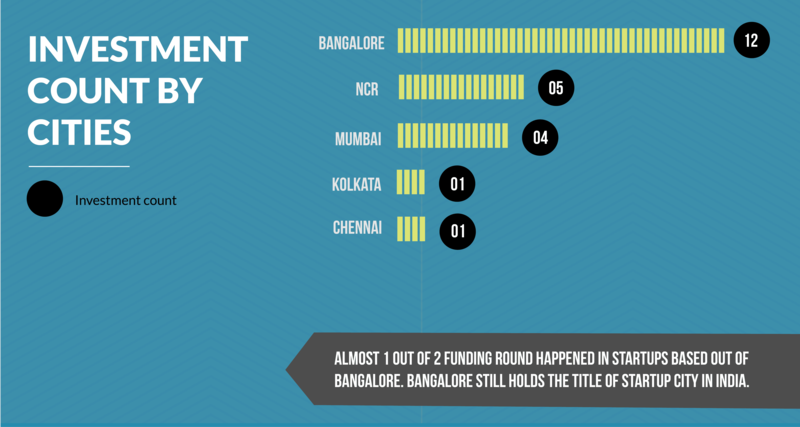 Yet, almost 1 out of 2 funding round happened in startups based out of Bangalore. Which means that Bangalore is the still the startup capital of India, topping the charts as being the preferred base for startup founders. While the majority of Indian startups are concentrated in Bangalore, Chennai and NCR, other emerging cities in the startup ecosystem are — Pune, Hyderabad, Ahemdabad and Jaipur. Second half of 2016 saw an increased venture interest in AI and this seems to continue in 2017 as well. The AI startups have emerged to be the most sought after with VCs from Sequoia Capitals and Unilazer seeding investments. India has 170 AI startups (according to Zinnov) at present, with Bangalore housing 64 AI-focused startups. One of the most significant AI investment was received by Hyderabad based Tuplejump that was acquired by Apple Inc for $20 million.